The muscular system and the skeletal system are intimately associated regarding function and purpose -making movement not only possible but making movement of the different parts of the body an intricate culmination of complex science and amazingly beautiful art. Think about workers using the complex leverage systems of the muscles, bones and joints of the musculoskeletal system to move or carry a heavy object – and think about the amazing levels of artistic perfection that ballet dancers and ice-skaters are able to attain! 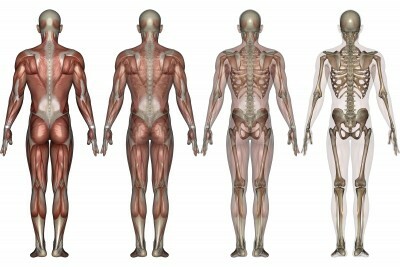 The muscular system and the skeletal system are therefore often combined or considered together when studied. There are minute muscles at the roots of hairs and they are responsible for goose bumps! Obesity is a problem in especially affluent societies – including the USA. Mark Huffman, an assistant professor of preventive medicine and cardiology at Northwestern University who presented the following figures and projections at the annual scientific meeting of the American Heart Association in November 2011: Right now, 32 percent of men and 34 percent of women are obese. Those numbers are projected to rise to 43 and 42 percent in 2020. Average adult Americans are nearly 25 pounds heavier than they were in 1960, according to a new report from the Centers for Disease Control and Prevention (CDC). There is a direct correlation between the levels of obesity in a population and the need for hip and knee replacement operations. The complication rate following joint replacement is also significantly higher in obese and super-obese patients. Obesity increases the likelihood of total joint replacement surgery among younger adults. Of course there are a number of different causes for damage to the hip and knee joints – like sport and motor vehicle accident injuries, various forms of arthritis etc. Obesity is a significant cause and thus contributor to the increase of osteo-arthritis (inflammation of a joint) noted over the past couple of decades. The USA needs more Orthopedic Surgeons to perform the increased demand for hip and knee replacement surgeries. The question is – are we solving the problem of an increased need for total knee and hip replacement surgeries by training more Orthopedic Surgeons to perform these operations? Hip joint: The hip joint is the joint between the femur (bone in upper leg) and acetabulum (socket-like form) of the pelvic or hip bone – and its primary function is to support the weight of the body in both static (e.g. standing) and dynamic (e.g. walking or running) postures. Knee joint: The knee joint is where the upper and lower parts of the leg meet. Three bones articulate (slides over each other) in the knee joint: The femur, the tibia and the patella (kneecap). It is the largest joint in the human body and is very complicated. Since in humans the knee supports nearly the whole weight of the body, it is vulnerable to both injury and the development of osteoarthritis. Laminar flow Theater: Laminar flow ventilation is used in modern orthopedic operating theatres to reduce the number of infective organisms present in the air, which may lead to post-operative infection of the wound. This is of particular significance in joint prosthesis surgery such as knee replacement and hip replacement surgery. Arthritis: Arthritis is a common form of joint disorder that involves inflammation of one or more joints. The most common form, osteoarthritis (degenerative joint disease), is a result of injury to the joint, infection of the joint, or old age. Another common type of arthritis is rheumatoid arthritis. The main complaint by individuals who have arthritis is joint pain. Prosthesis: A prosthesis is an artificial device that replaces a missing body part e.g. hip or knee joints. Prostheses (plural) are typically used to replace parts lost by injury, congenital (missing from birth) or disease e.g. arthritis and cancer. Prosthetic heart valves are in common use. Other medical devices and aids that can be considered prosthetics include hearing aids, artificial eyes and dentures (false teeth). In August 2010, DePuy Orthopedics, has announced that it is recalling two types of hip implants because of higher-than-expected early failure rates. These implants received FDA approval in 2005 and entered the market without vigorous clinical trials. 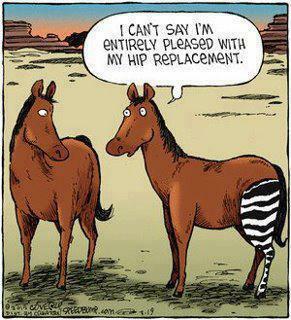 Most hip replacements last an average of 20-25 years. 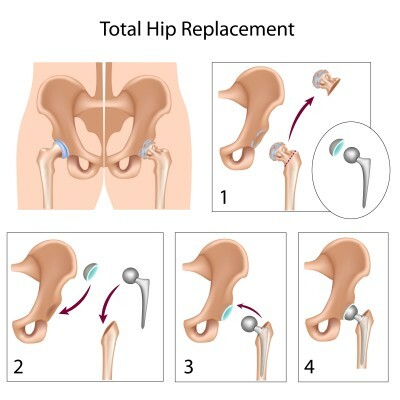 Up to 49% of patients who received these DePuy hip implants had to undergo revision surgery within only 6 years! Always minimize your exposure to medico-legal risks by staying abreast with the latest developments in your field of study. Only use clinically tested implant prostheses with scientifically scrutinized and proven track records. Many Doctors of Osteopathic Medicine (OD) specialize in the musculoskeletal system – and uses techniques called osteopathic manipulation to treat their patients’ muscles, bones, joints and nerves. How Can I Become a Specialist Orthopedic Surgeon? Some new front lines of research in the field of human reproduction – and more! Let me know if there are any questions – and I will try my best to answer those within a reasonable period of time – pose questions to your facilitator and he/she will e-mail those questions to me. Heya i’m for the first time here. I came across this board and I find It truly helpful & it helped me out a lot. I hope to provide something again and help others such as you helped me.